Please make your hotel reservation ASAP as blocked rooms are limited. You can easily book your reservations online at the link above or call toll free at 1 (800) 266-9432. 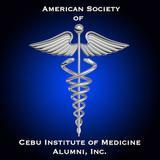 The Group Name is American Society of Cebu Institute of Medicine. Deradline for discounted rate is June 12, 2019 based on availability. If for any reason you need to cancel your reservation, please notify Dr. Ong first at (215) 803-3260.